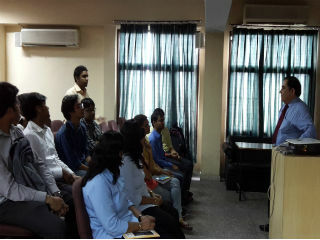 As a part of JIMS Retail Club activity, the retail department organized a Guest Lecture on Travel Retail for its PGDM-Retail & Marketing students (Batch 2014-2016) on 10th September 2014 at its campus. 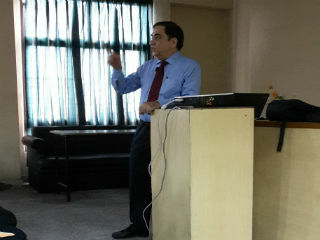 The topic of the session was 'Travel Retail in India - A Category Analysis'. Mr. N.K. 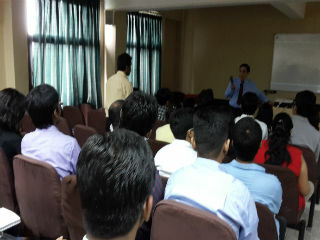 Piplani conducted the session and shared insights about the Travel Retail Industry. He retired as Vice-President from India Tourism Development Corporation (ITDC). As VP he headed the International Trade Division. The division managed 35 duty-free shops at 10 international airports (arrival and departure terminals) in India. The duty free business generally is about retailing luxury merchandise namely liquor and tobacco, perfumes, fashion accessories, chocolates, electronic goods etc. - essentially imported. The nuances of airport retailing and retail aspects at railway stations were discussed. Students learned the opportunities and challenges of Duty Free shops and job opportunities in retail at airports. 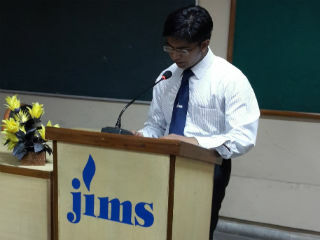 Overall it was a good learning experience for the students of retail.